Who needs a large dish when you can fill your stomach with multiple tapas? 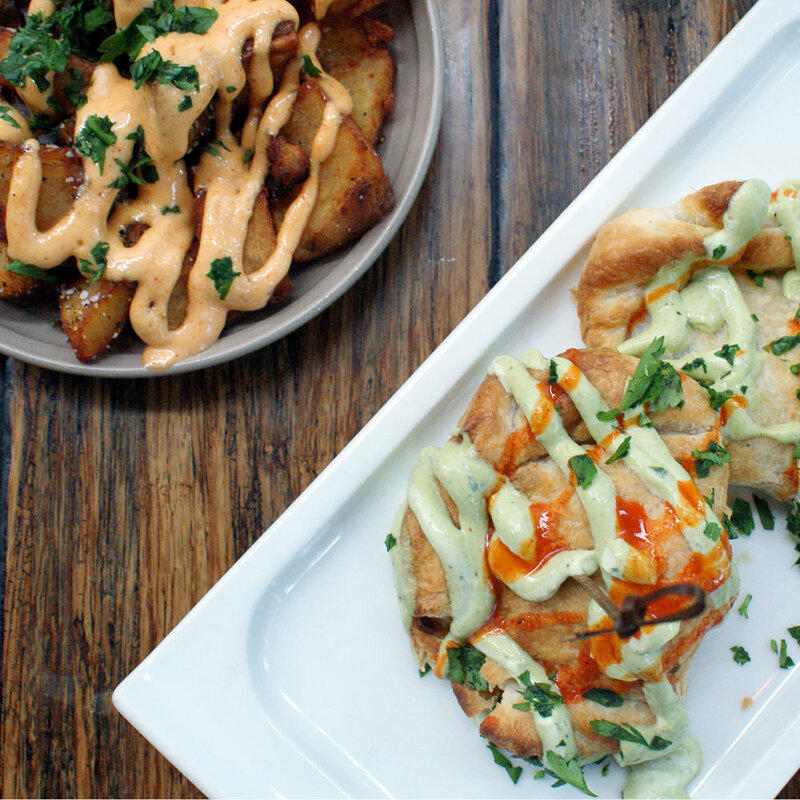 Grab a few friends and share some of our favorites, like the Empanadas or Papas Brava. We also have vegan and vegetarian friendly options for our visitors. 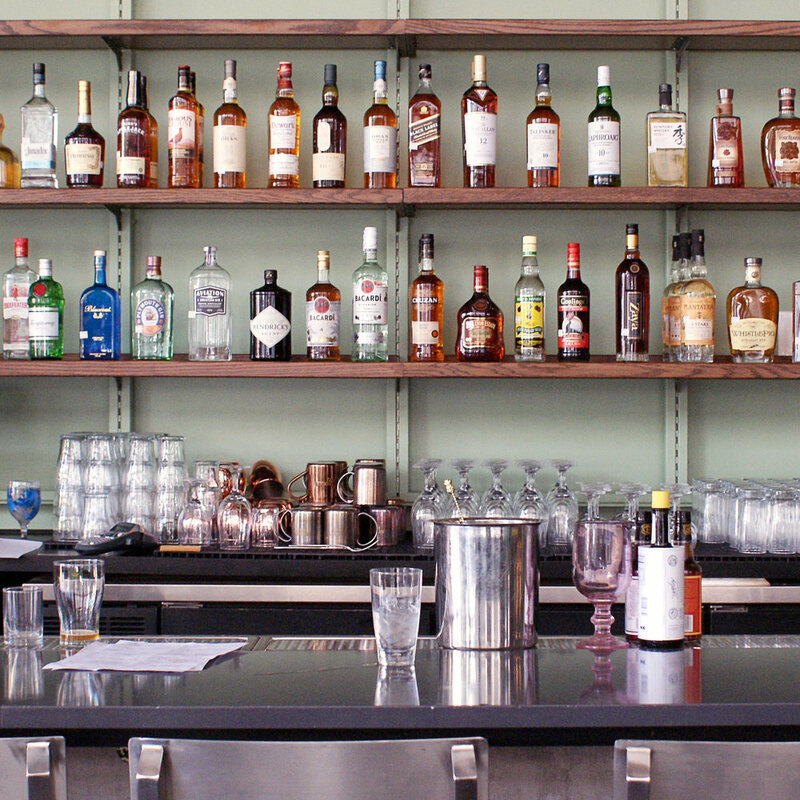 A bar large enough to fit all your friends. We have an impressive selection of beer, wine and cocktails. Want something that’s not listed? Feel free to ask the bartender to make something special for you. We have something for all palettes. Our wood fired pizzas are the best in the art’s district. 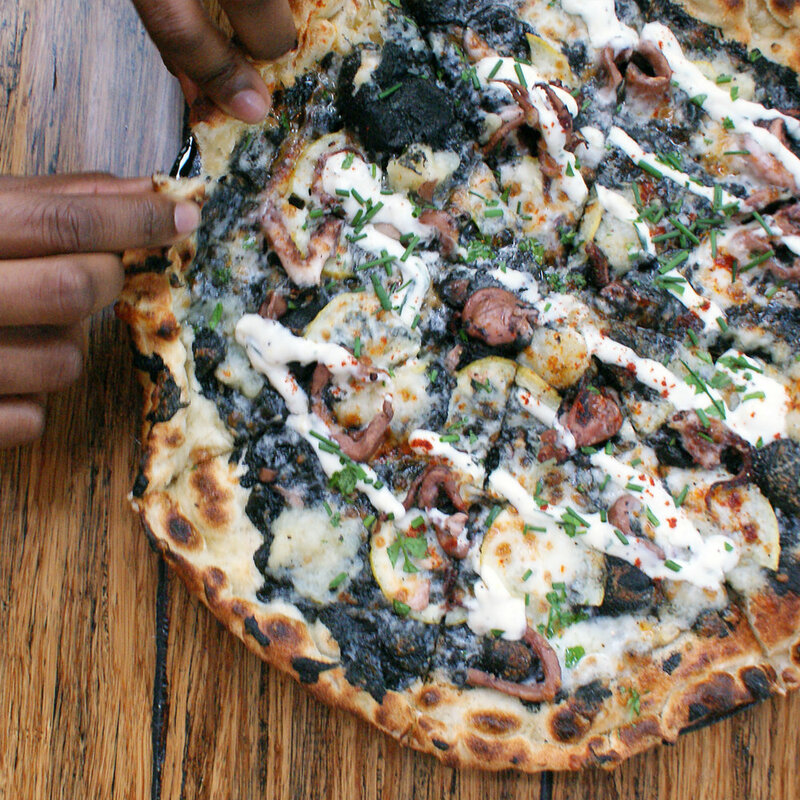 Be exotic with our Potato and Squid Ink pizza. Or go simple with the Classic Margherita or Pepperoni. Pizzas are personal enough to enjoy by yourself or with someone else.